From a rustic cloud of dust comes one of the greatest living legends of all time. With a vintage and earth tone look, this teaser poster was created to evoke a sense of martial arts history and convention anticipation. 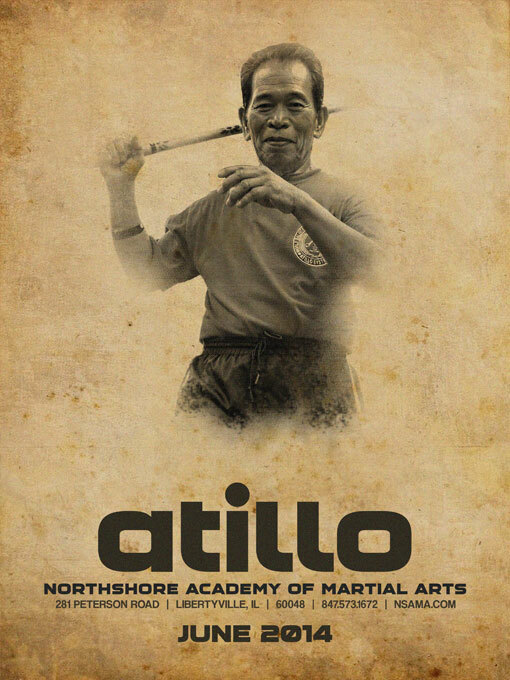 Learn more about Grandmaster Atillo. Atillo Balintawak is a powerful Filipino martial art developed by Grandmaster Crispulo “Ising” Atillo that focuses on stick fighting, bladed weapons and empty hands. With it’s purplish hues, this design takes on a retro neo-noir style imagery with a layout that was perfect for convention autographs. Click on the image for an up close look.